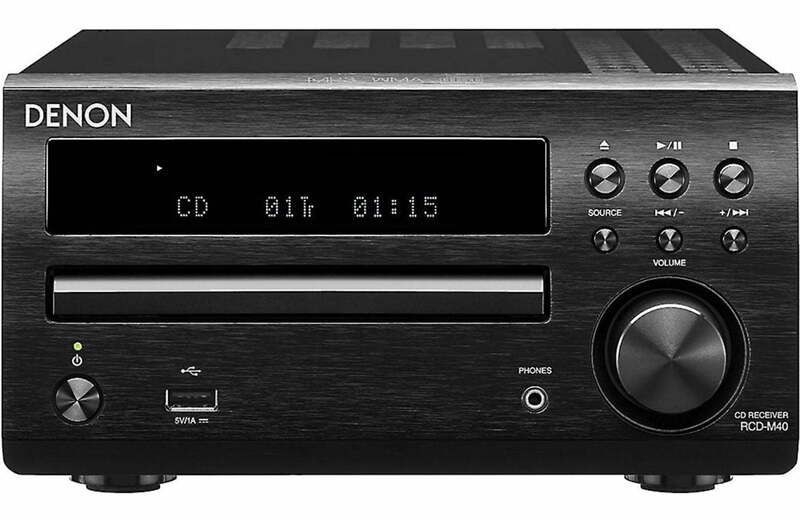 Following in the footsteps of the multi-award winning D-M39S, the new Denon D-M40SBK features serious Hi-Fi quality CD Receiver RCD-M40 along with optimized two-way speaker system SC-M40. 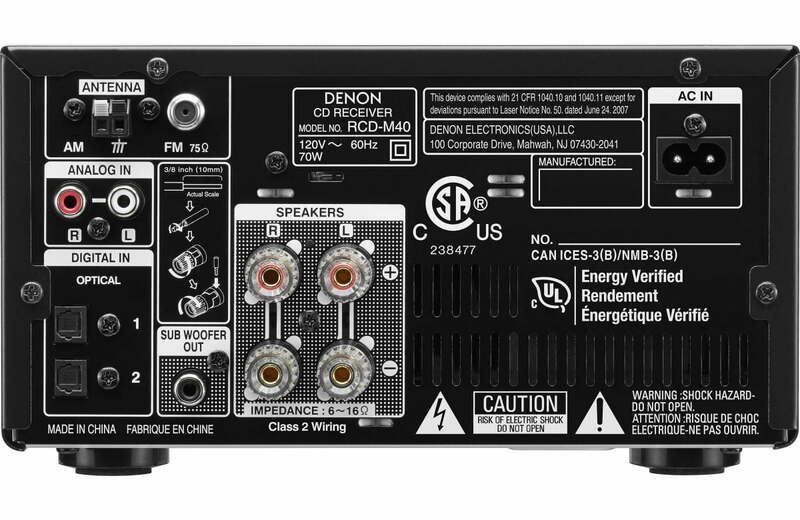 For almost 20 years now, Denon’s M Series has been developed to meet the needs of modern day audio enthusiast that want a micro size stereo system but with the least compromises on sound and build quality. 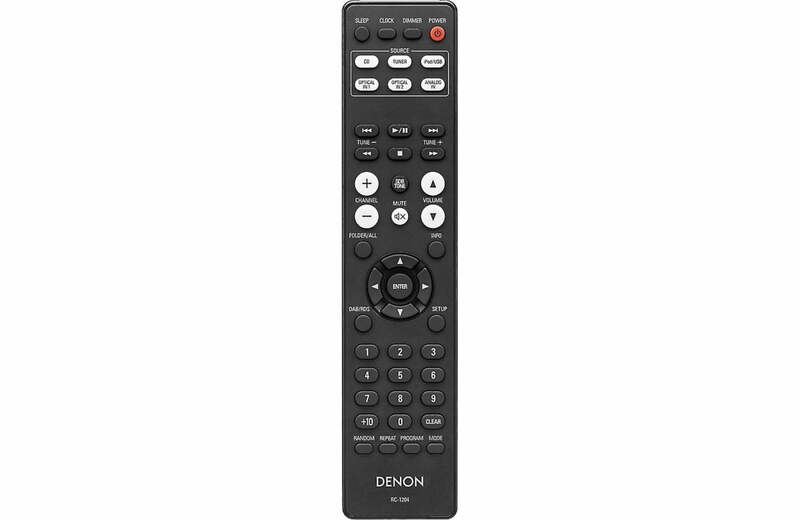 The latest development comes with improved connectivity options such as two digital optical inputs to hook up a TV, set-top box or other digital gear that deserves improved audio quality. Of course it plays all sources like CD, FM radio or USB media including iDevices in impeccable quality too. 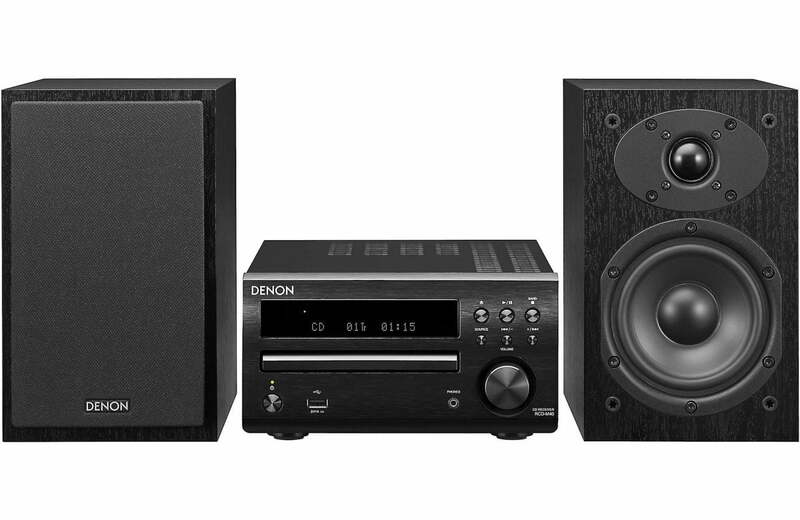 Denon’s popular M series gives you high sound quality based on the “simple & straight” concept. Circuitry is uncomplicated, signal paths are short, and all adverse influences on sound quality have been minimized. The Denon D-M40SBK circuit design and the way the chassis is built ensure that the sound you hear is utterly faithful to the original performance. You can also listen to music files from your iPod by simply connecting it to the USB port with the USB cable that came with the iPod. Digital signals from the iPod are transmitted as is to the D-M40 and are processed by advanced audio circuitry to produce a clean, high-quality sound. Moreover, the D-M40’s USB port is not only capable of playing MP3 and WMA files, but also lossless FLAC, WAV and AAC. In an audio component where various circuits, boards, and wire layouts can influence each other, it is not possible to obtain satisfying specifications or sound simply by strengthening the power amp circuit. Denon D-M40SBK has therefore eliminated three sources of noise to ensure that the sound is as clean as possible. Distortion from the input selector, electronic volume and power amp has been suppressed to improve the signal-to-noise ratio and produce an even smoother, dramatic sound. The D-M40’s compact size allows for easy setup on a bookshelf, in a bedroom or in the home office. With several color combinations, it easily blends into one’s daily life, delivering impeccable performance at the same time. These Denon D-M40SBK speakers have been designed with Denon Hi-Fi craftsmanship and European Sound engineering. For best performance a high quality 12 cm woofer / midrange chassis has been combined with a high definition tweeter and a crossover network with selected components to reproduces the smoothness of natural sound. 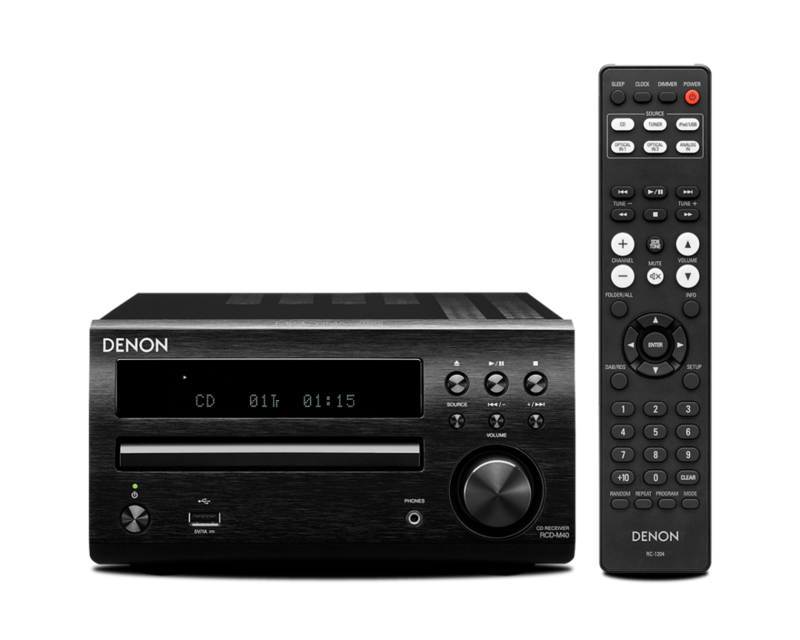 Denon Canada 1 Year Limited B-Stock Warranty.